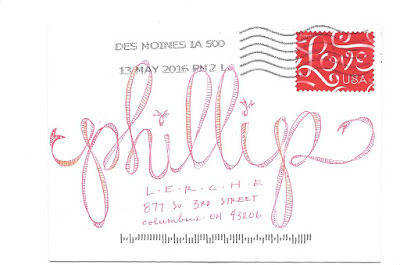 Beautiful red and gold ribbon writing from Jean. Pretty flowers saying hello from Lisa in the Czech Republic. 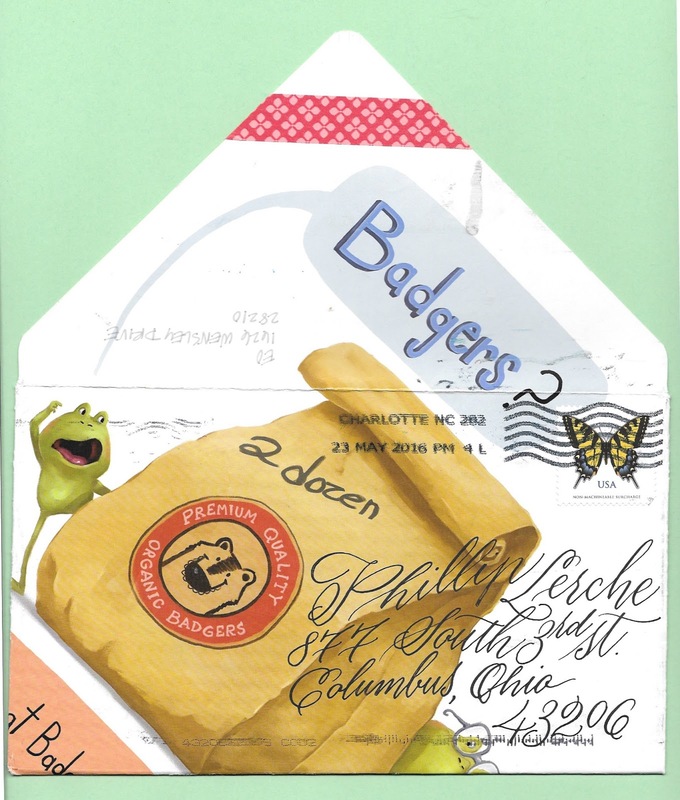 And awesome badger mail from Elizabeth - thank you! 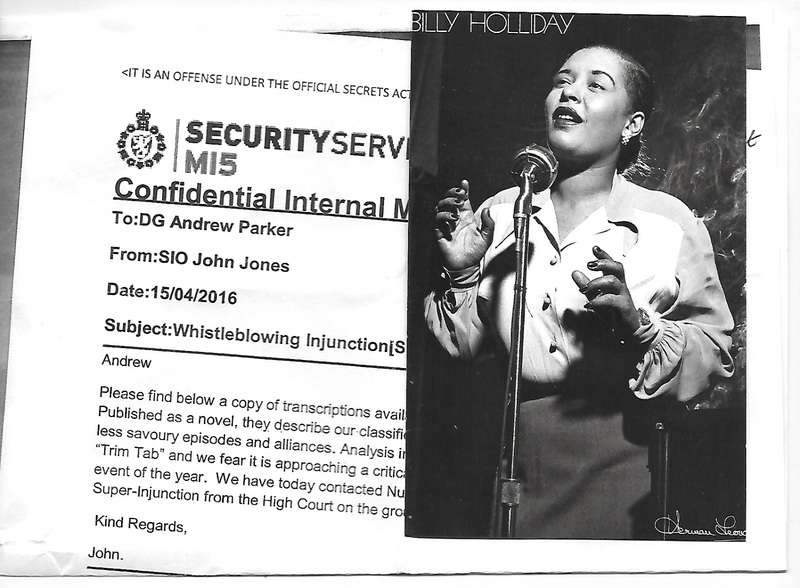 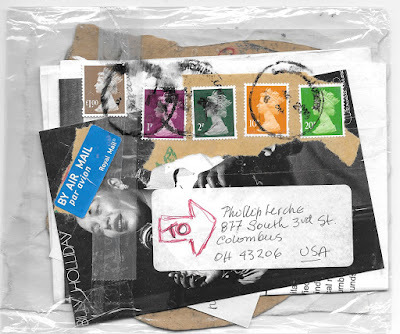 An envelope containing an add + pass to Jon. 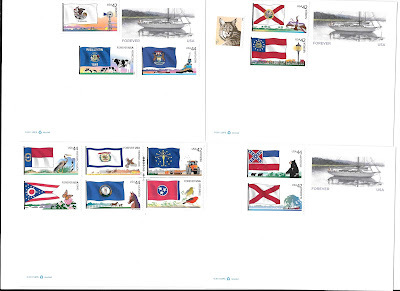 I found a great calendar that can be used as postcards once completed. 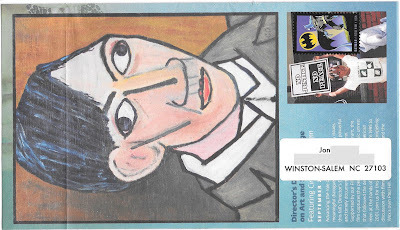 Here is what I did to January, for Eric's fifty mail art call. 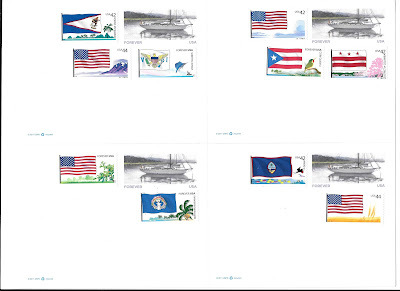 I've been showing the various envelopes and other bits of mail art I've sending Eric for his 'Fifty' call on Mondays, however this series fits with today's Sunday Stamps theme, flags and ensigns. 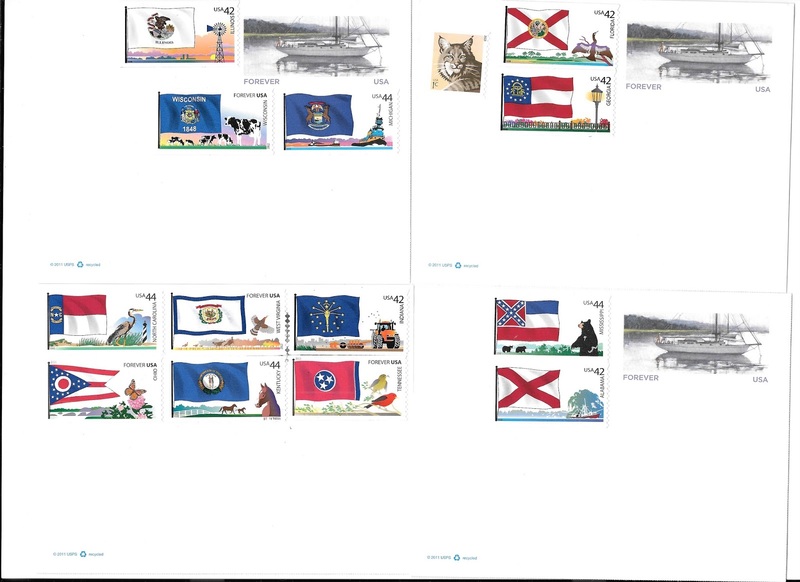 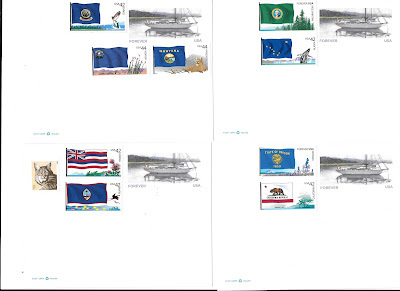 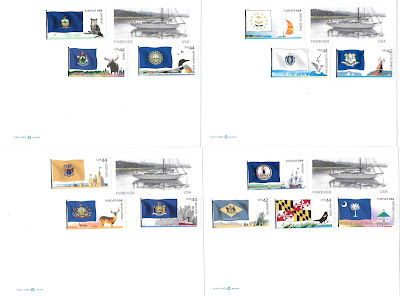 Between 2008 and 2012 USPS issued a series of stamps titled 'Flags of Our Nation'. 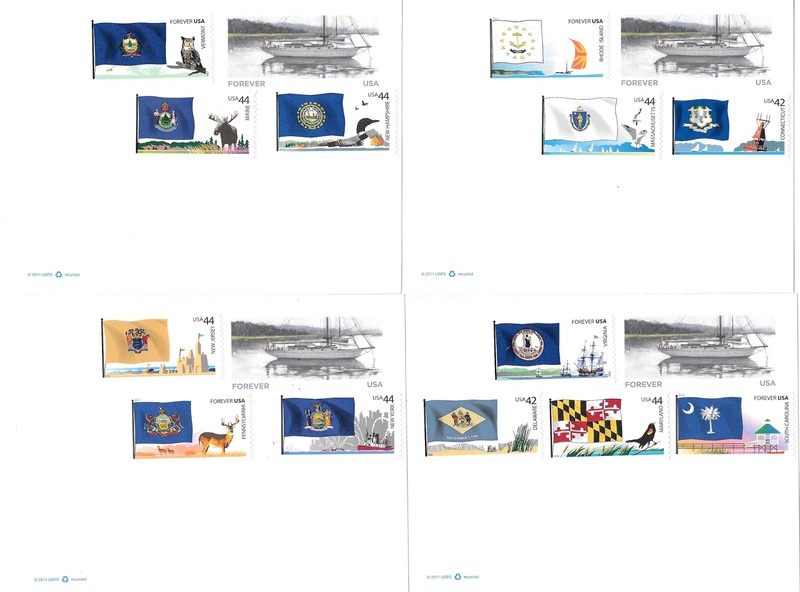 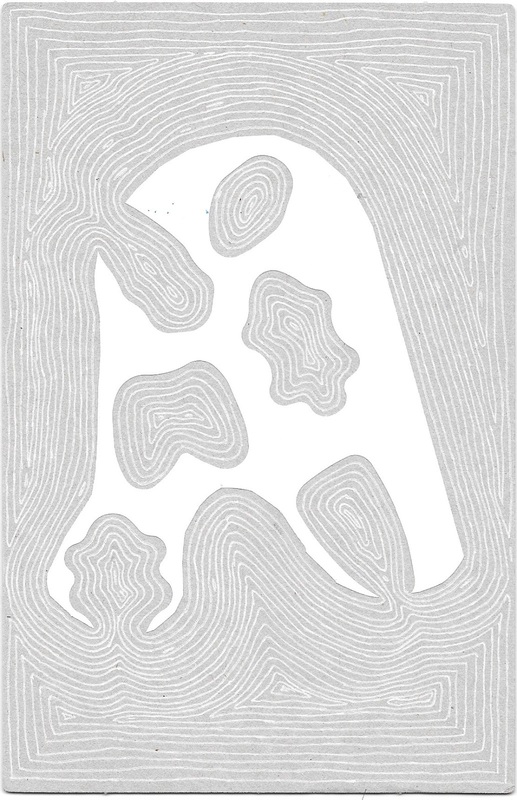 There were six separate issues of 10 stamps, printed in coils of fifty. Interestingly, when researching for this post, I found out that the 5th set was issued here in Columbus on 11 August 2011. 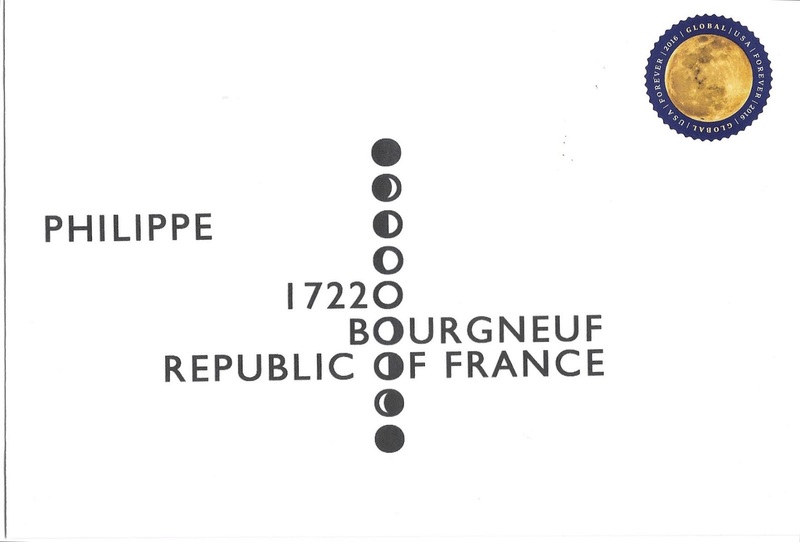 Since the stamps were issued over several years, the values change from 42c, to 44c, and finally to Forever. 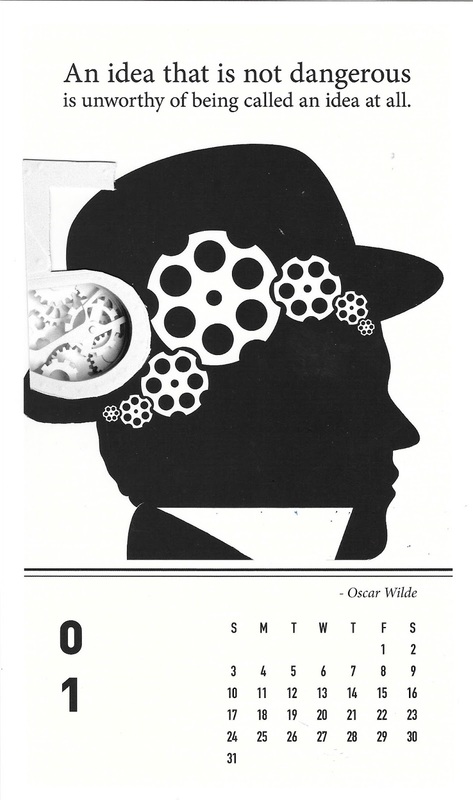 'But 6 times 10 is 60,' I hear you say. Yes, the 50 states were in there, then they also included flags for the US territories (American Samoa, Guam, Northern Mariana Islands, Puerto Rico, and the US Virgin Islands) as well as the District of Columbia. 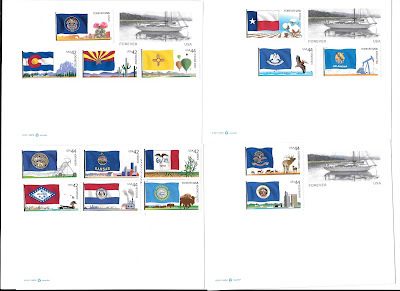 'OK, now we're getting closer, but we're still only at 56 stamps.' 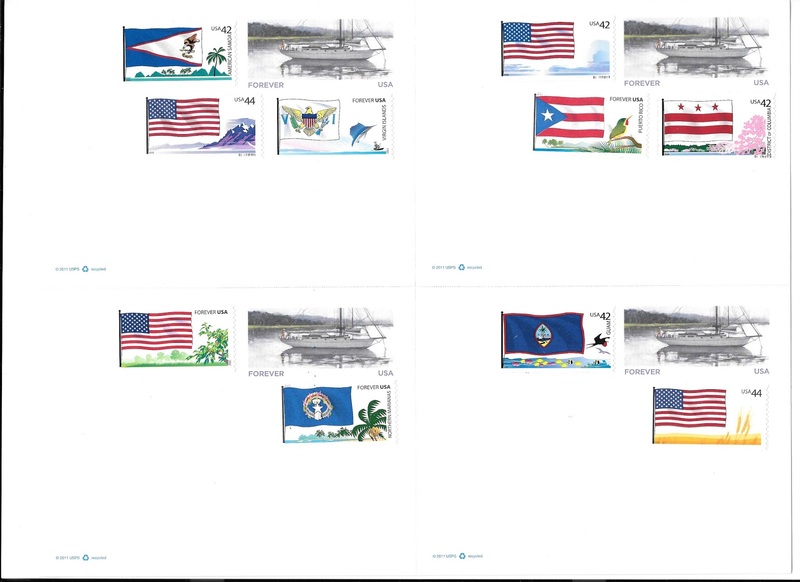 The final four stamps showed the Stars and Stripes of the national flag against four separate scenes inspired by the first four lines from the song 'America the Beautiful', for a grand total of 60. 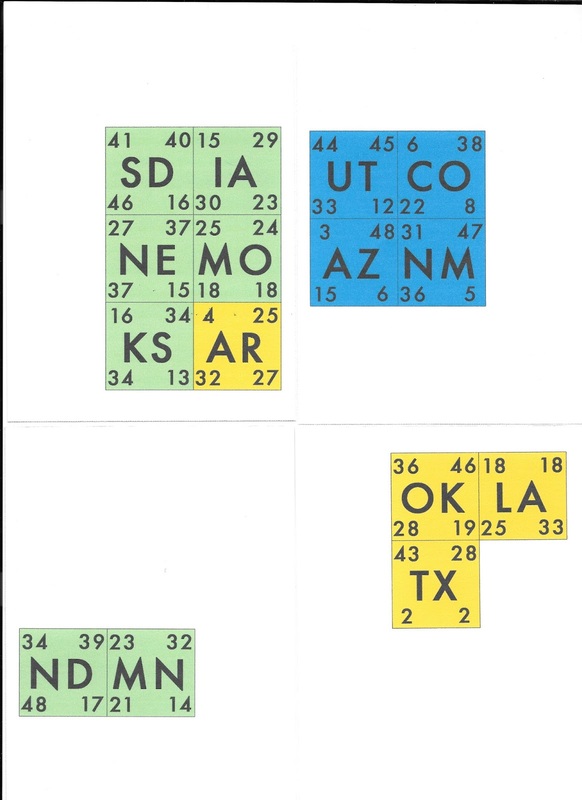 I had wanted to create something related to the 50 states for Eric's 'Fifty' call. 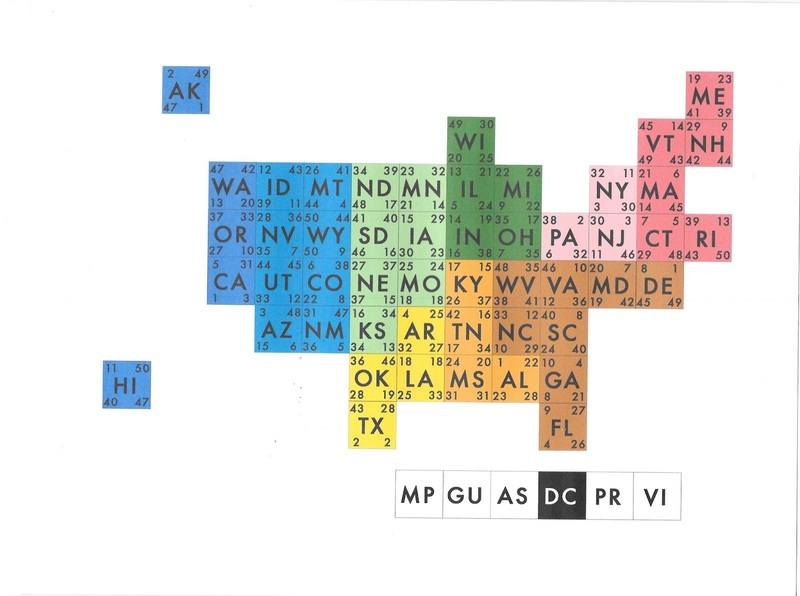 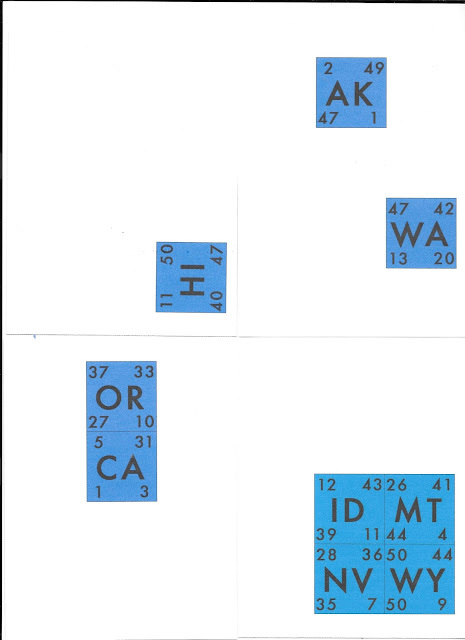 I saw some images of the 50 states arranged in the style of the elements of the periodic table, and I had my idea. 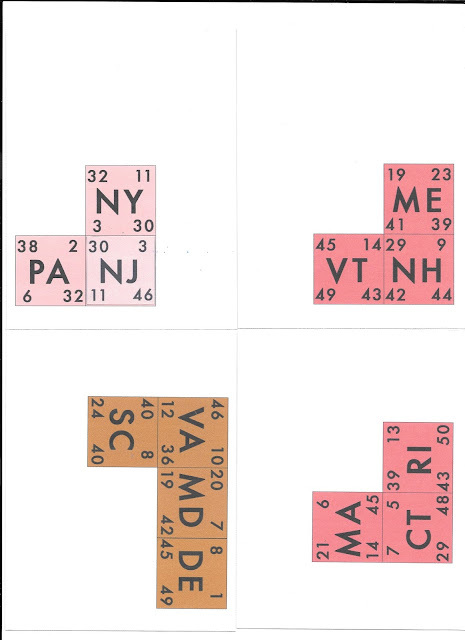 I added four different rankings to each 'element', using the official postal abbreviation, printed them out on postcards, and voila, mail for Eric. 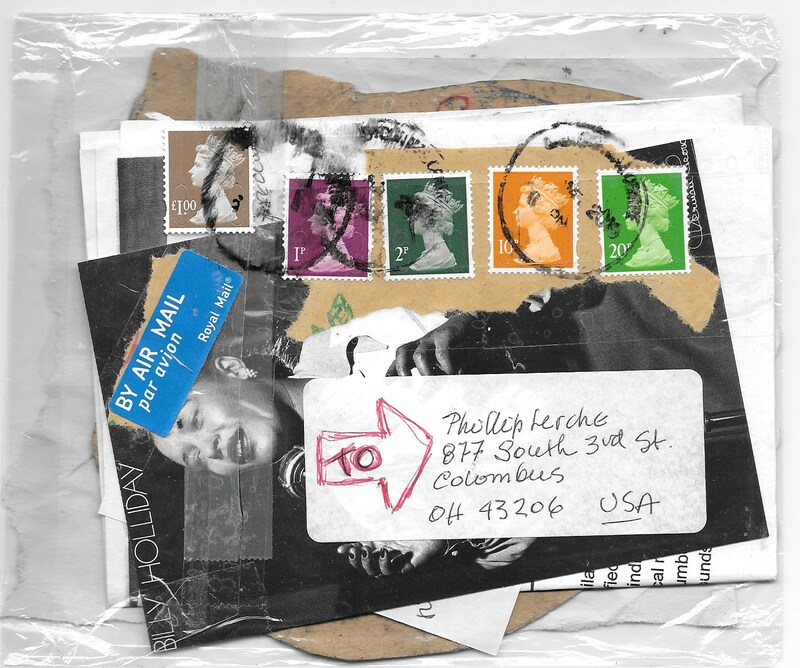 The 16 cards were posted one at a time, every few days for several weeks. 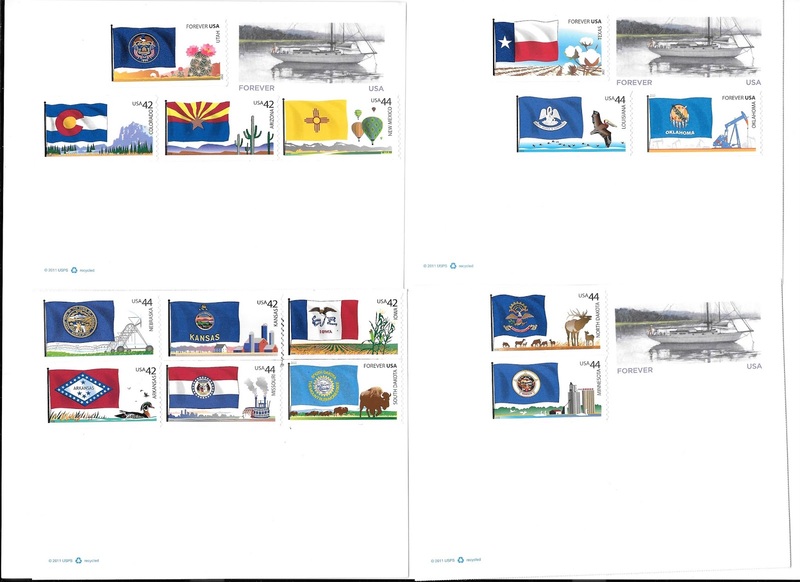 I also sent the bonus 10 stamps on a 'master plan'. 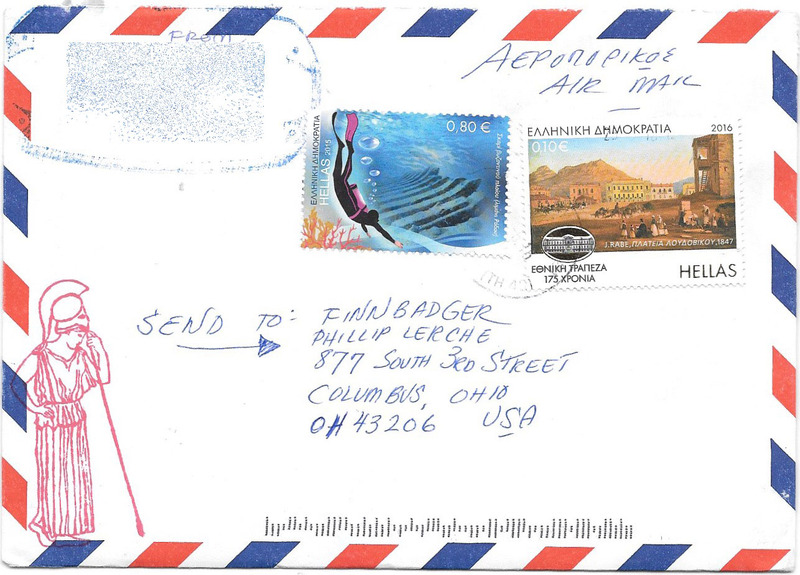 If you'd like to see how they look after traveling to France, click here to see Eric's blog. 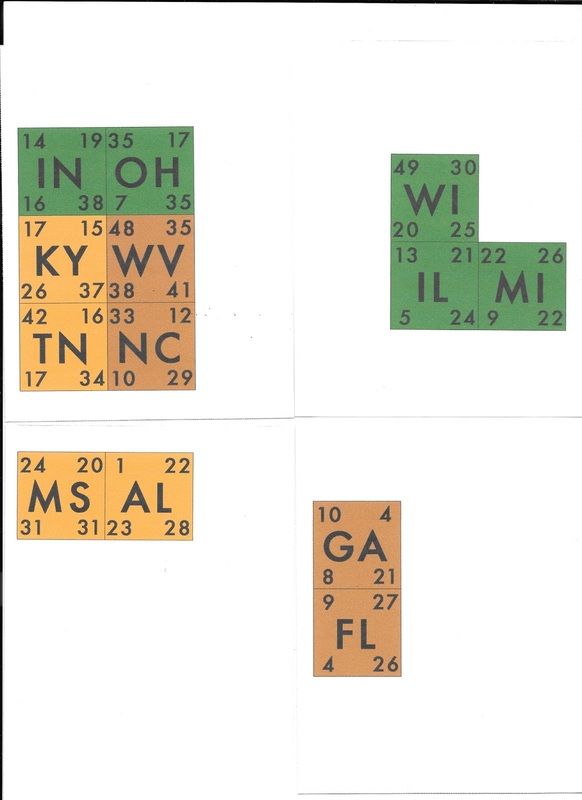 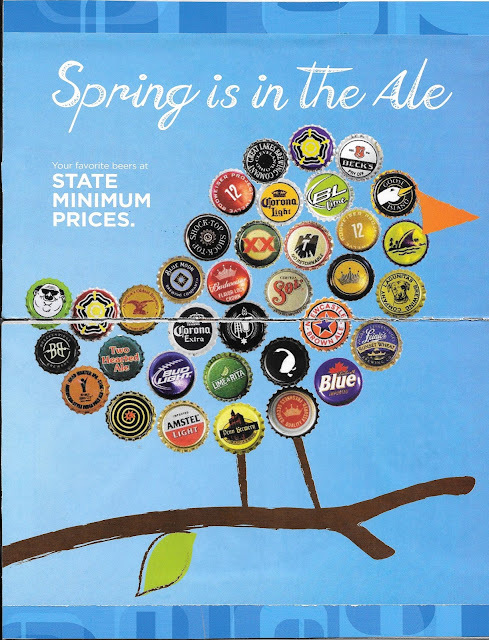 Bonus points if you can determine what the four rankings of the states are. 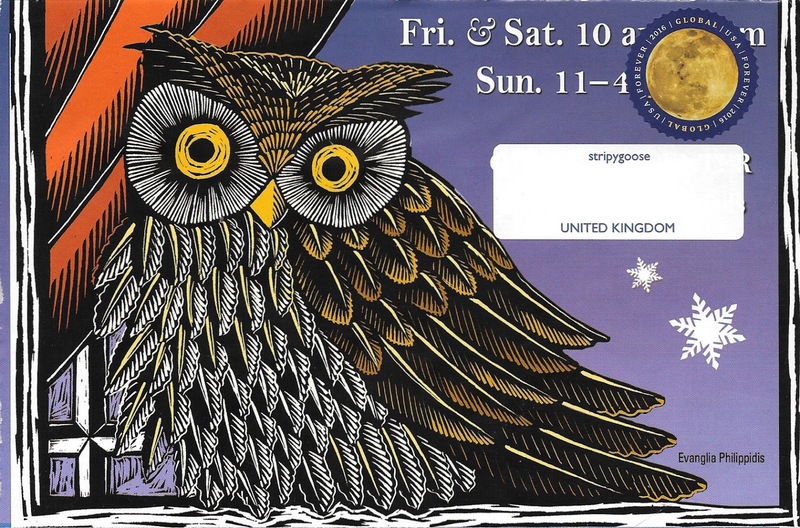 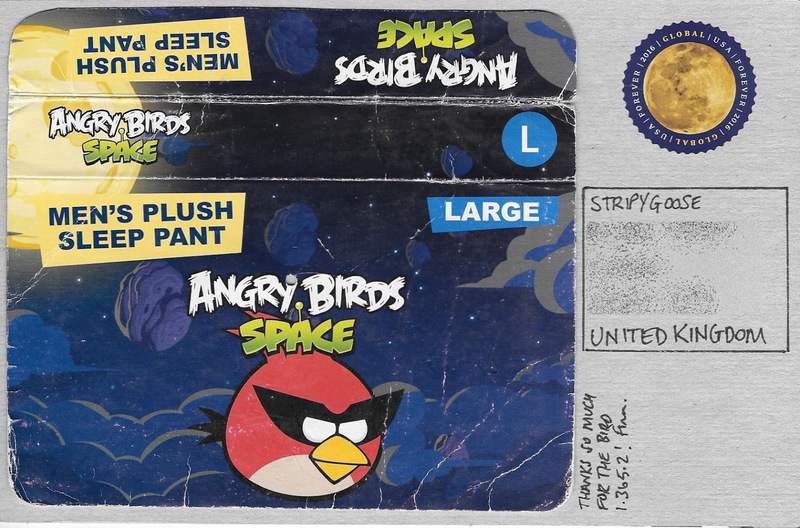 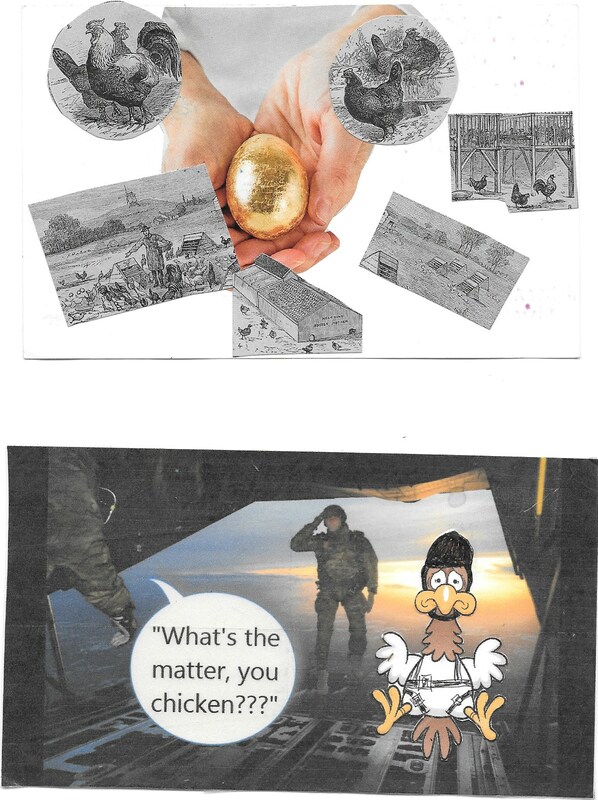 Stripygoose has sent me quite a few very cool pieces of mail art, so I sent her 3 mail art birds in return. 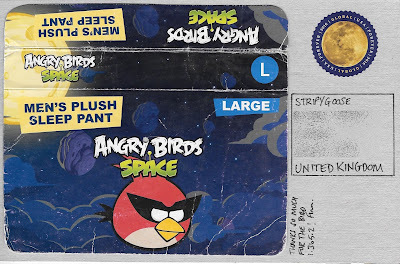 When these two cards are turned over they form this bonus bird. Joyce's card was one of the post office's pre-stamped tree cards. 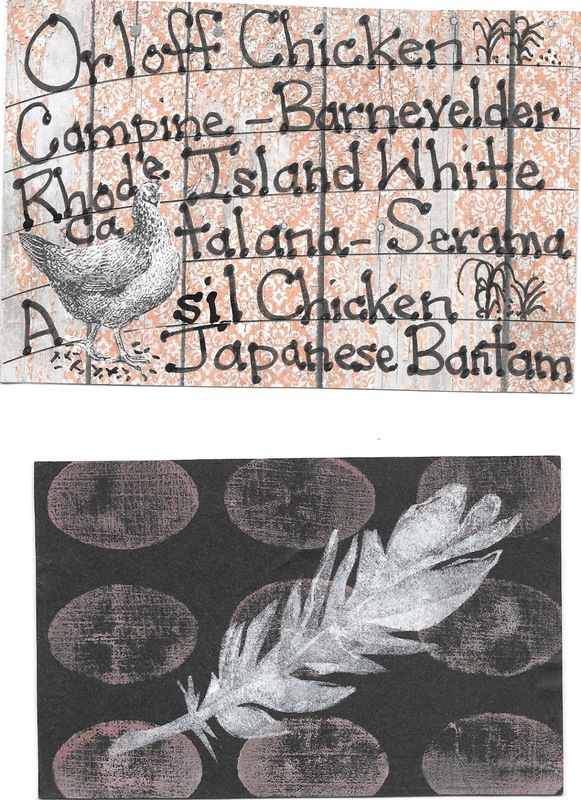 And I enjoyed the chicken on the address label Honi printed. 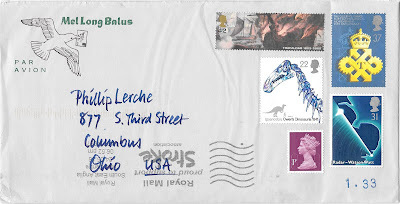 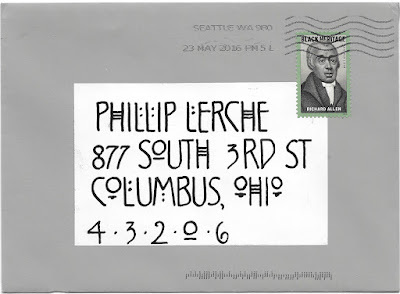 My submissions, with theme-related envelope. 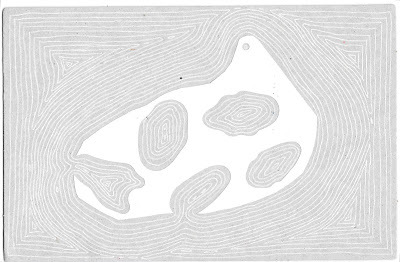 I think these are a bit like inkblots, in that I sometimes see things in them. 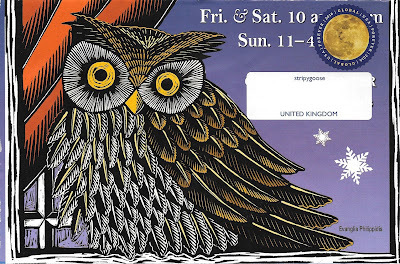 My first sighting of one of the new Classics Forever stamps on an envelope made from a calendar. 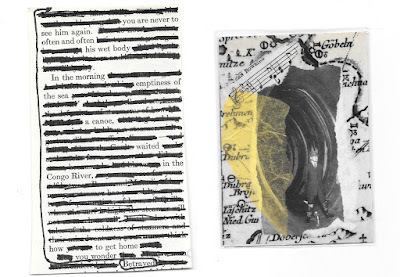 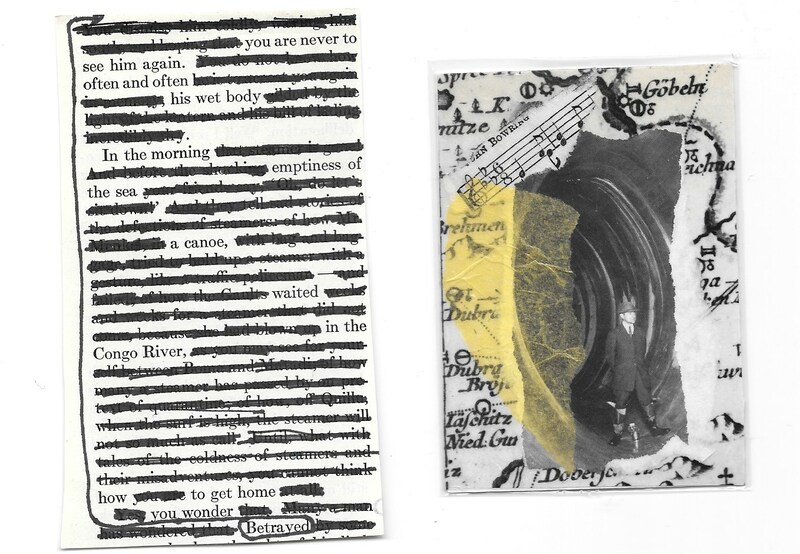 Toni also included a found poem, and a set of artist trading cards. This Eric Monday (part 7) might be a little out of sequence because I wanted to take advantage of the full moon today, known as the strawberry moon. 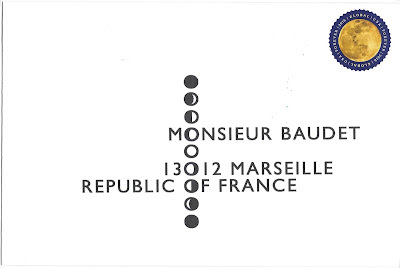 A couple of added 5s to my moon phase addresses (and a little cheating by sending them to three Monsieurs in the Republic of France). Today is also the solstice - not common to have the full moon fall on the same day - the last time was in 1967! 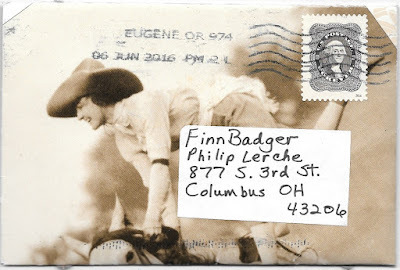 And the next time is 2062... so check back in 46 years and I'll have the second in this special series of blog posts. 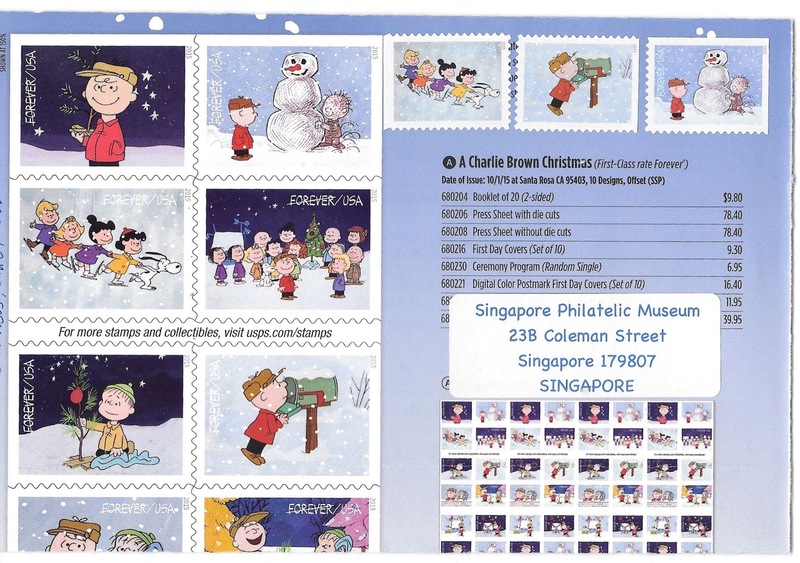 Eva let me know that the Singapore Philatelic Museum was having a mail art call for all things Peanuts related. 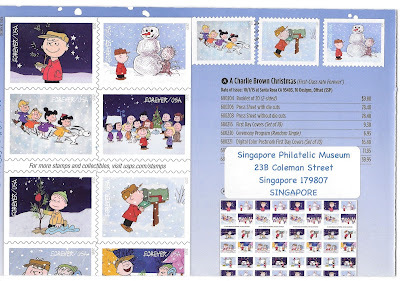 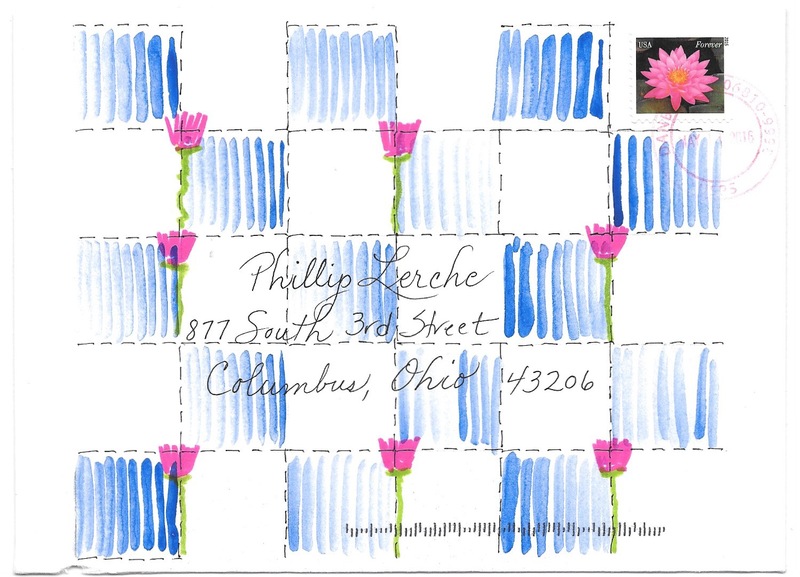 I blogged the envelope I sent in already, here it is again, made from a USPS Philatelic magazine showing some of the 10 Charlie Brown Christmas stamps issued October 2015. 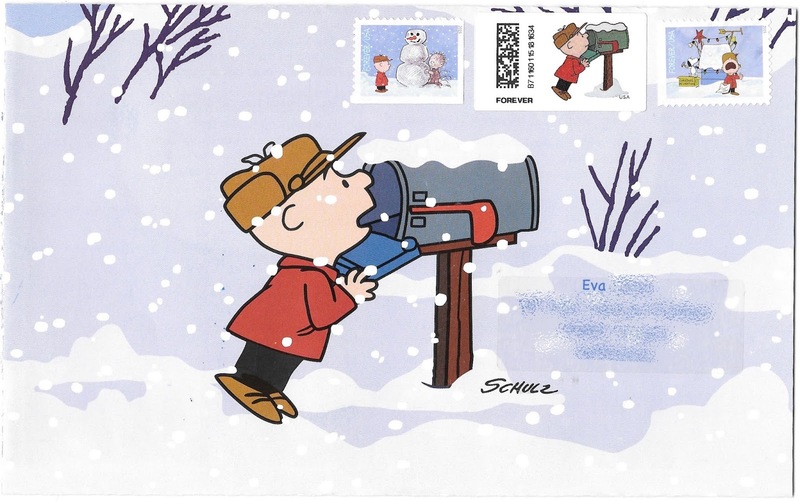 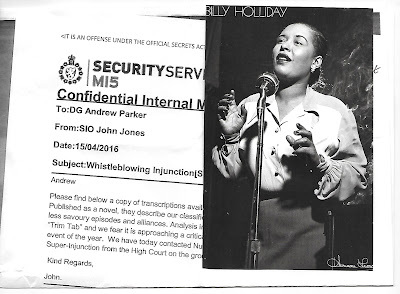 I also sent Eva an envelope made from the same catalog, and I included a postage label that the self service machines were issuing last Christmas. 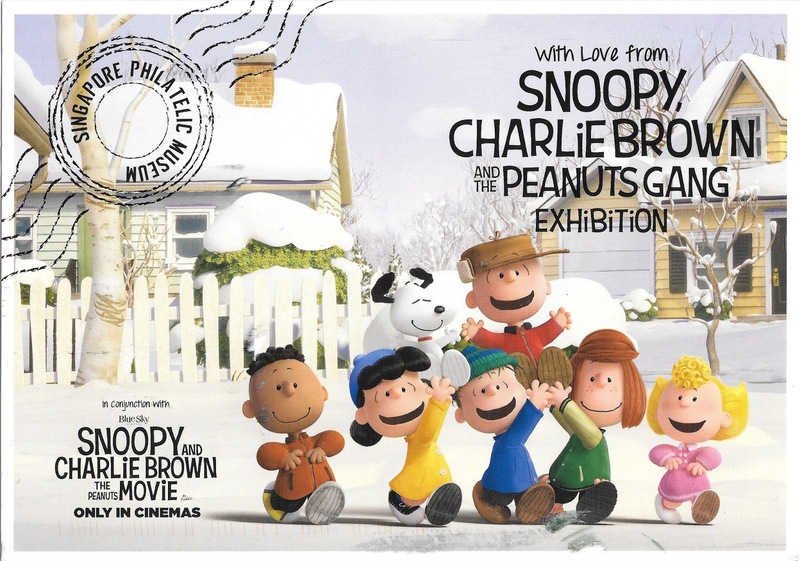 The museum very kindly sent me a thank you postcard featuring the gang from the new movie. 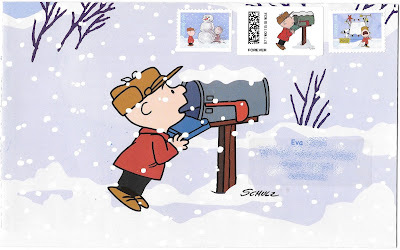 For other Sunday Stamps featuring cartoon characters, go here. 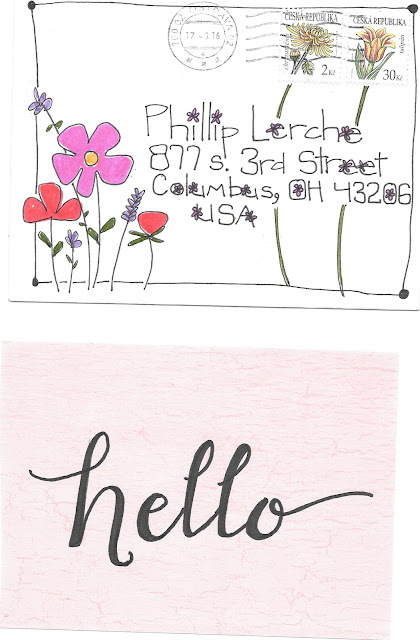 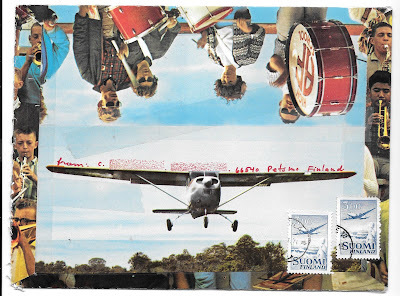 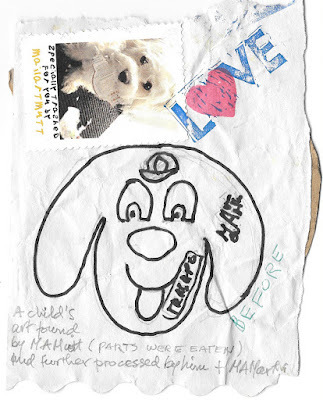 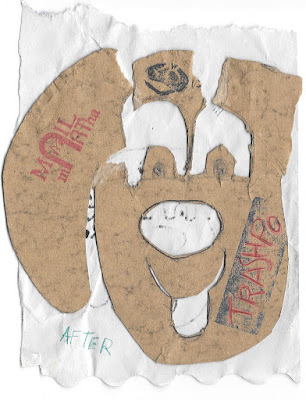 Mail art sent to Heleen inside candy packaging. 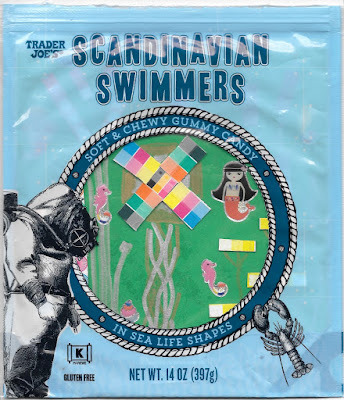 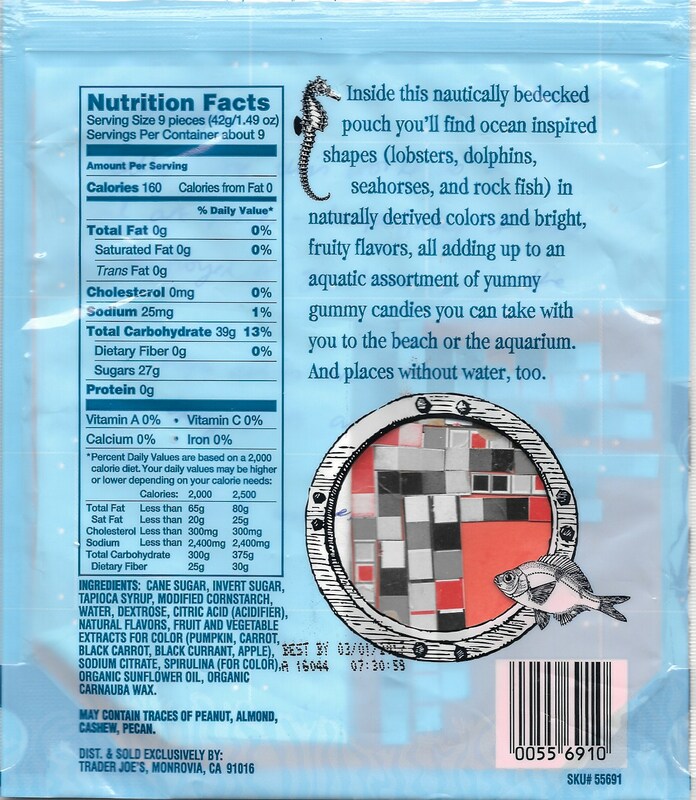 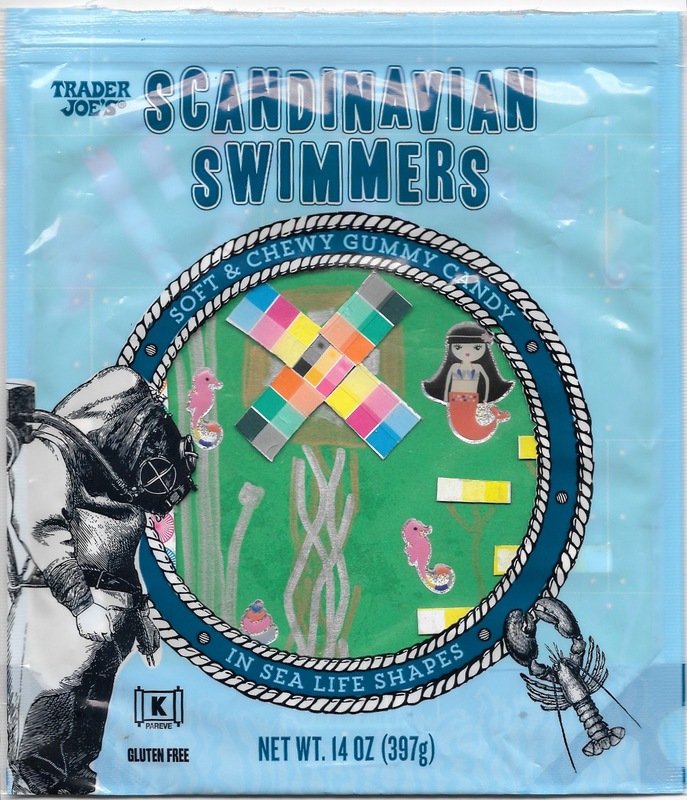 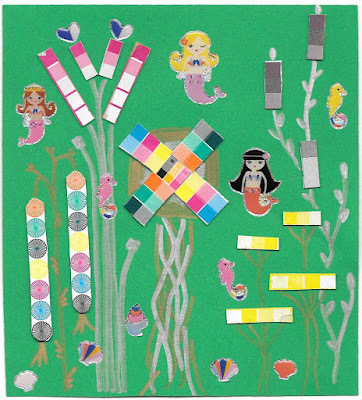 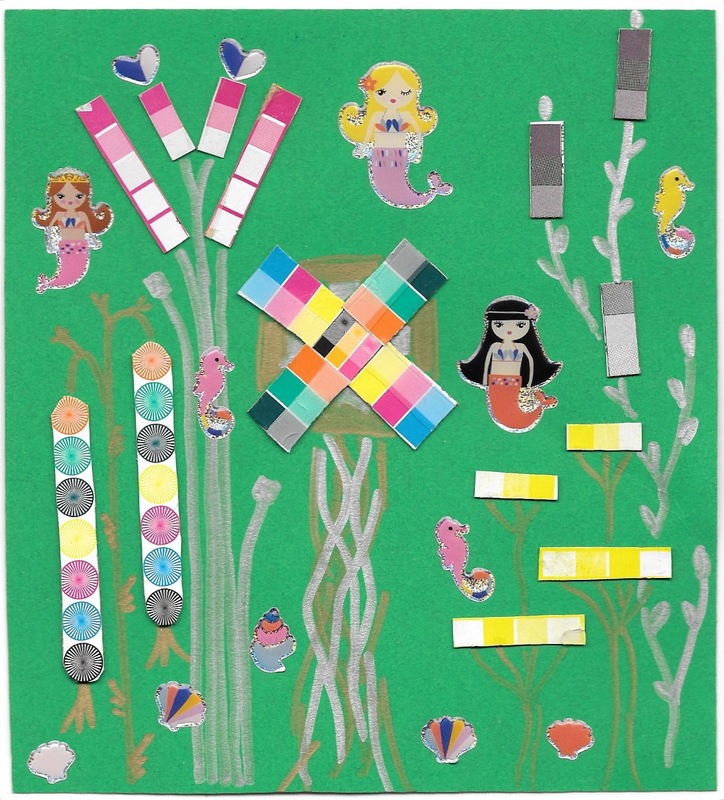 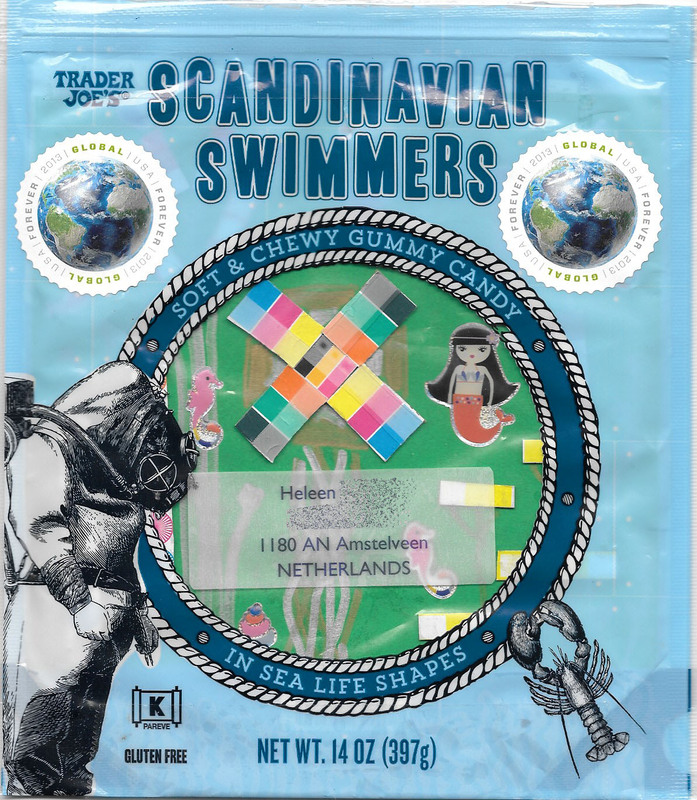 This is a collaboration (unwittingly) with Eva, as she supplied the mermaids, seahorses and other ocean stickers. 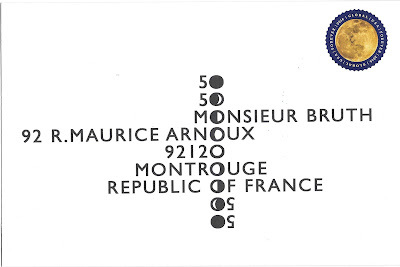 The reverse was more abstract. Heleen's experience of receiving this one made me smile. 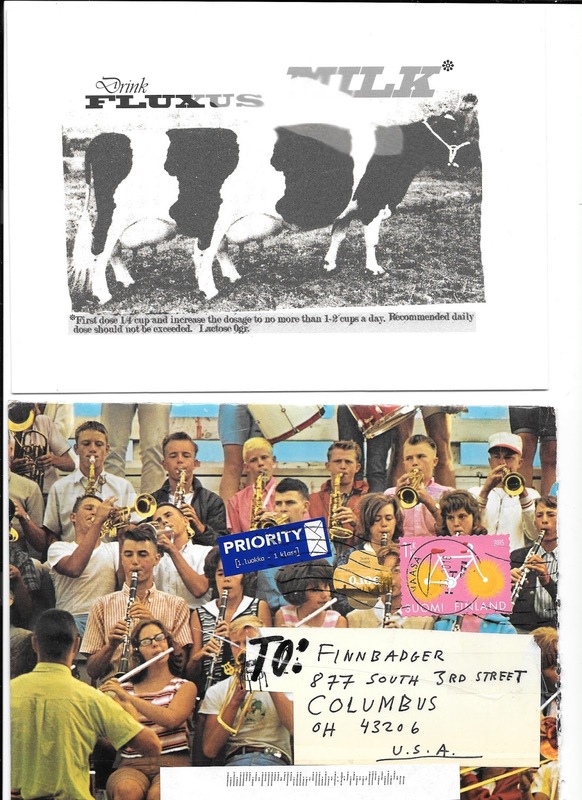 Fluxus cow from Carina, in a great homemade envelope, plus outstanding Finnish stamp. I like how she wrote her return address along the wings of the plane. 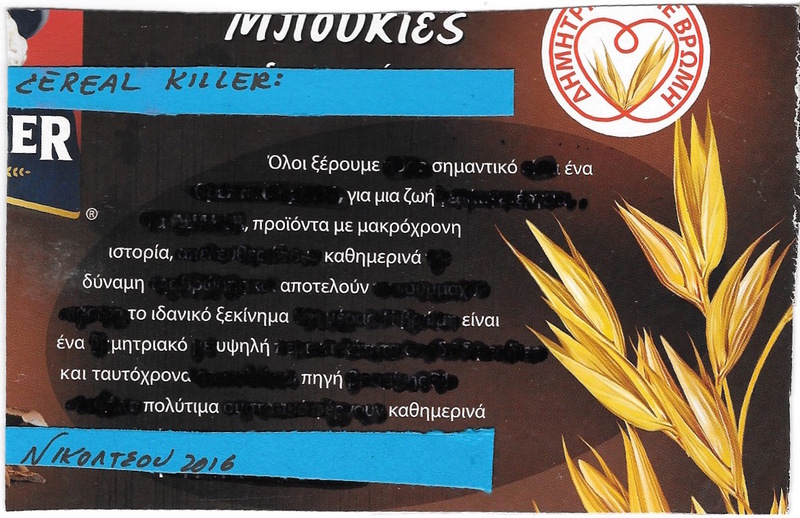 Found poem in Greek and more from MomKat. Arriving in an envelope with some lovely stamps, both postage and rubber. 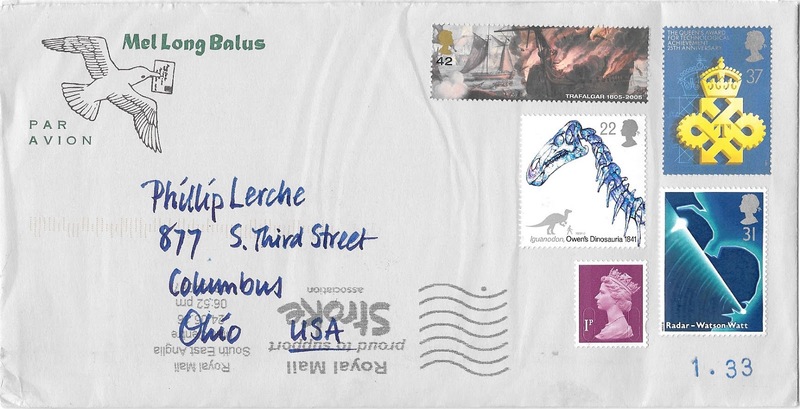 An envelope with a wonderful selection of stamps arrived from Alan. 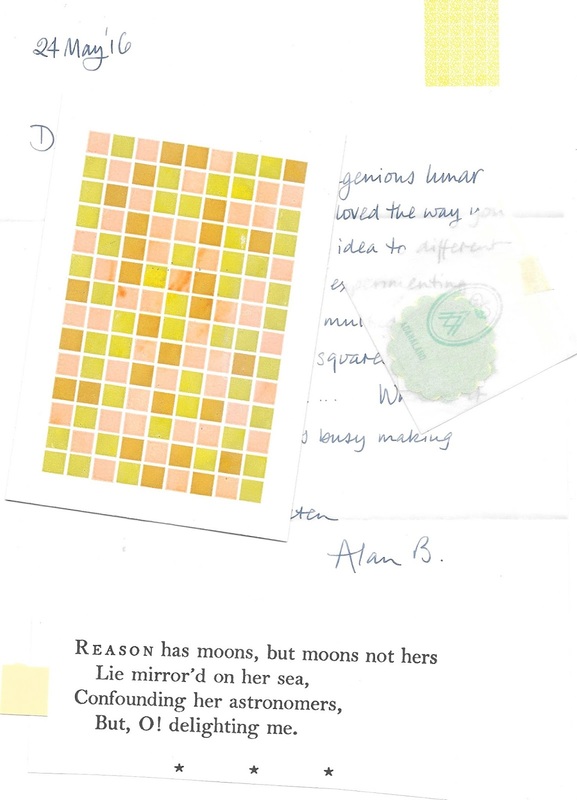 Inside more wonders: a letter, a poem, a printed art card and some stickers to use. Great stuff! 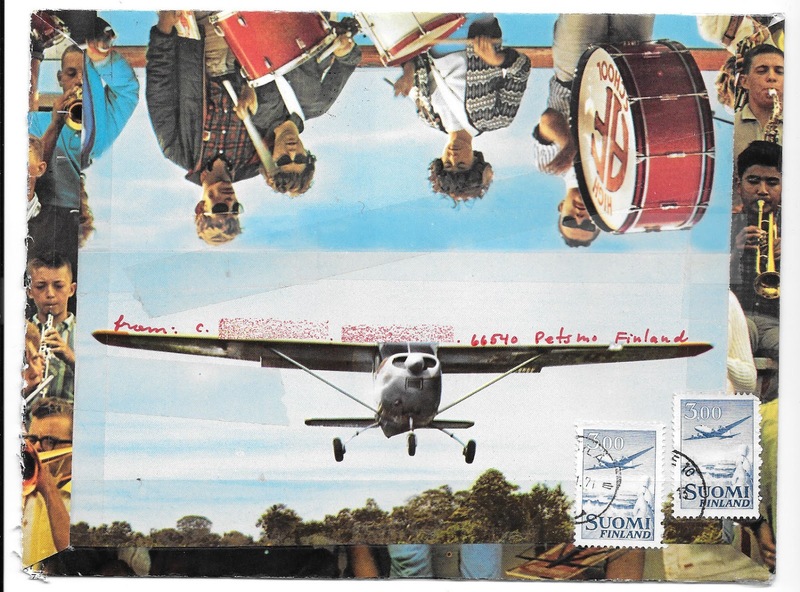 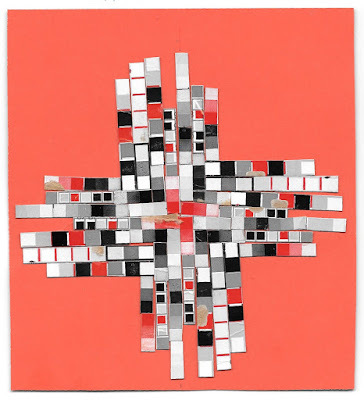 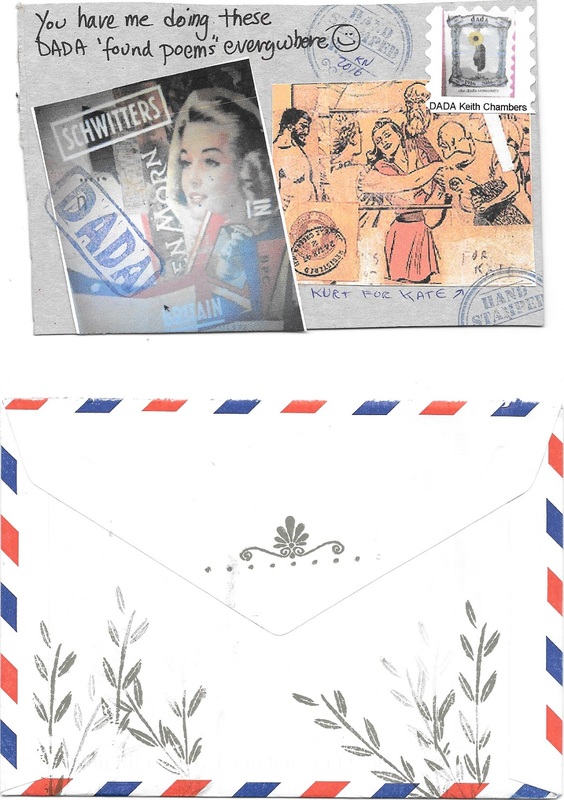 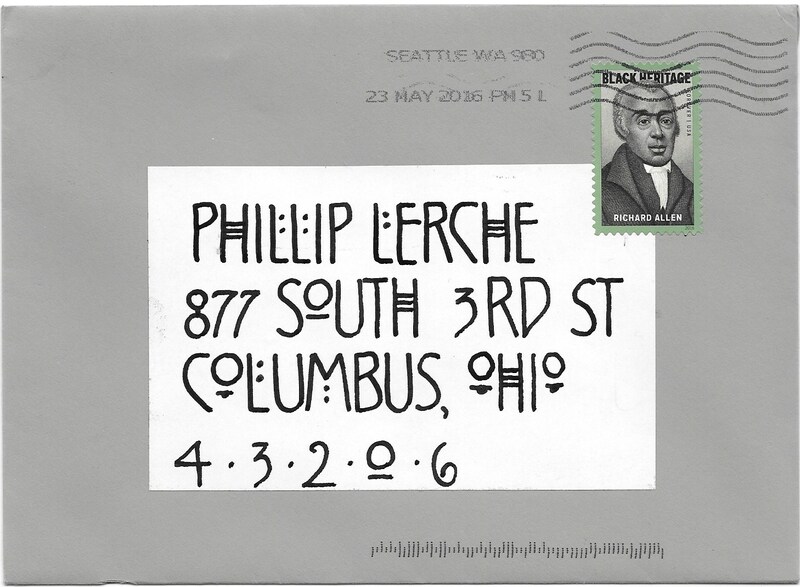 100 years of DADA - part 1: the envelopes.